I love Task Cards and Christmas time! All 26 of these Task Cards have a Christmas theme. Your students will enjoy solving each equation, and everything is all ready for you! There are different ways to use Task Cards, so I have provided instructions for you as well. In addition, there is an answer key to save you some precious time! 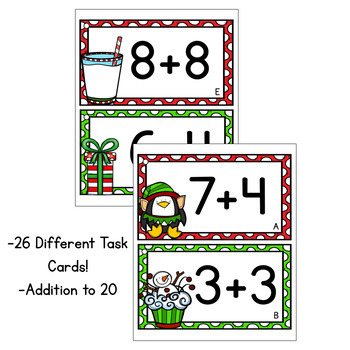 These Task Cards are perfect for homework, math centers, independent work, and much more! Please reach out to me if you have any questions!